During his illustrious two year show career, Ivory Pal was successfully shown and won blue ribbons in every type of discipline imaginable to include English and Western trail pleasure, dressage, water glass, trail obstacle, halter/model, horse dancing, pole bending, barrel racing, color, and jumping. Ivory Pal showcased his versatility by winning ribbons in Model, English and Western Trail Pleasure, English and Western Working Trail Pleasure, Barrel Racing, Pole Bending, Horse Dancing, and Trail Obstacle classes. 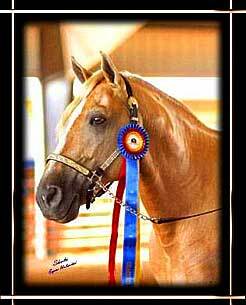 Ivory Pal won the North American Pleasure Walking Horse High Point Grand Champion Award, as well as the English Working Trail Pleasure Championship, and Western Working Trail Pleasure Reserve Championship. Ivory Pal is a stallion with a confident, and easy disposition that is blessed with a willing, and cooperative mental attitude. At shows we regularly hear people comment that they can't believe he is a stallion because of his easy going, and calm disposition.